New Directions Publishing Corporation, 9780811210836, 164pp. More Classics Revisited is the second volume of the late poet and polymath Kenneth Rexroth's brilliant, succinct analyses of some of the key documents in literary history. It presents East and West: from the Bible, the Bhagavad-Gita, and the Tao Te Ching of Lao Tzu to the works of Karl Marx, Charles Baudelaire, and William Carlos Williams. Supplementing the sixty short essays originally published as Classics Revisited in 1969 are forty-one pieces from With Eye and Ear (1970) and The Elastic Retort (1973), both long out of print, as well as various previously uncollected or unpublished essays. Taken together, these hundred and one critiques stand, writes editor Bradford Morrow, "as a primer, or Baedeker, to a whole terrain of thought, to one man's study of imagination and its field of conjuries." 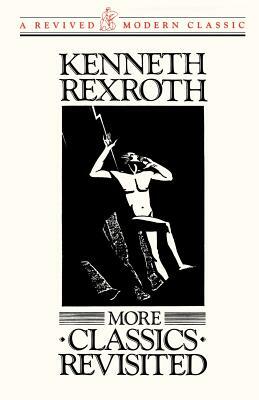 The New Directions edition of Classics Revisited was chosen as a Book-of-the-Month Club alternate selection, attesting to the wide appeal of Rexroth's learning and humanity.